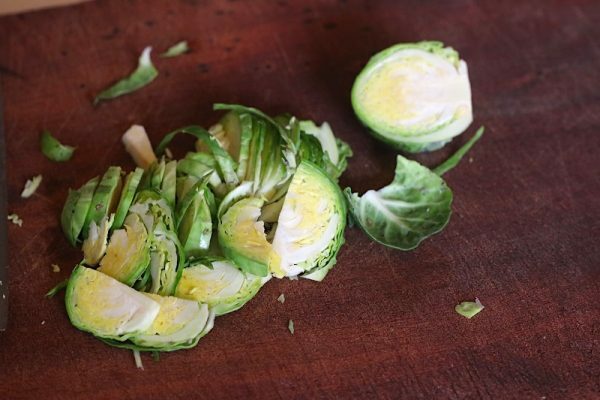 We love Brussels Sprouts here at The Organic Place – for a tiny veg, they’re super versatile! Raw or cooked, they are a delicious addition to just about any meal. If you are a bit iffy about the humble brussels (we know you’re out there!) a good roast in a hot oven or thinly sliced saute can make a malodorous green ball a complete taste sensation, we promise! 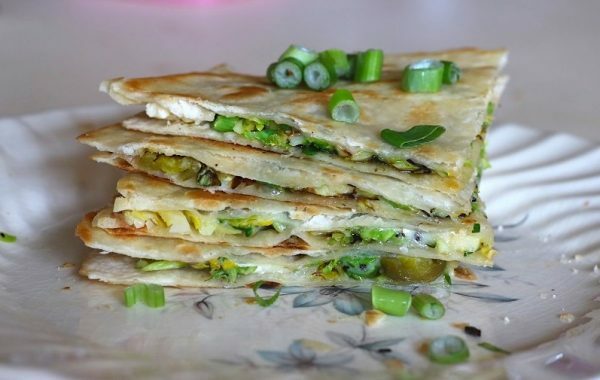 The sliced and sauteed version (always best with a little crisp left in the leaves) forms the basis of this endlessly customisable and totally yum quesadilla. They’re whipped up in a flash, you can eat ’em how you like ’em, and we recommend you make heaps – you won’t want to run short of these babies! This recipe makes one, so you can multiply them as much as you need. 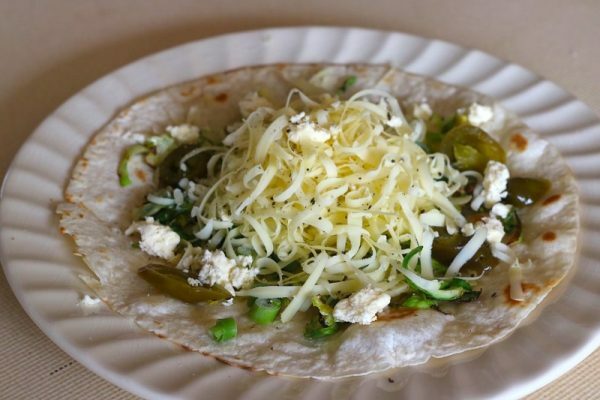 2 tablespoon organic feta or other Mexican style cheese, if you have it on hand. Thinly slice your organic brussels sprouts. In a large frying pan, heat one tablespoon of the organic olive oil and saute the organic brussels sprouts. You want them soft and turning brown in parts, but also left with a little crunch. Remove from the heat. Add the second tablespoon of the organic olive oil into the pan and fry the tortillas on both sides until golden. 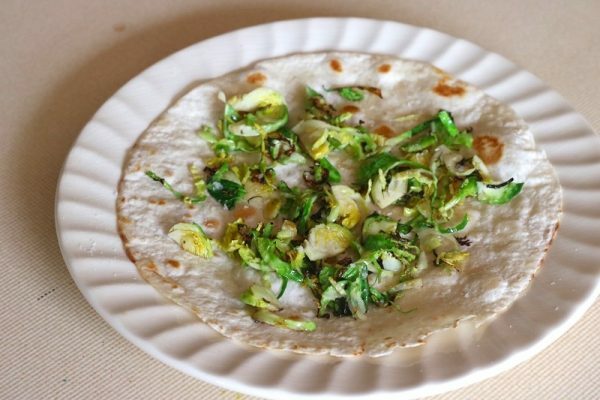 Top one of the tortillas with the shredded organic brussels sprouts and a sprinkle of organic sea salt. 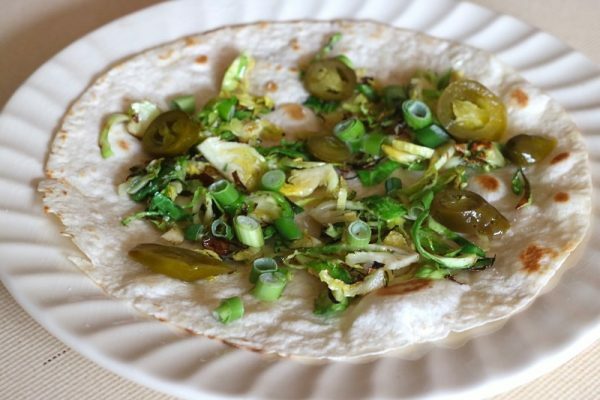 Top the brussels sprouts with the chopped chilli or jalapeno (or use the pickled jalapeno in a jar) and half the sliced organic spring onion. Top the lot with your grated organic cheese and the organic feta and sprinkle with organic cracked black pepper. Top with the second tortilla. 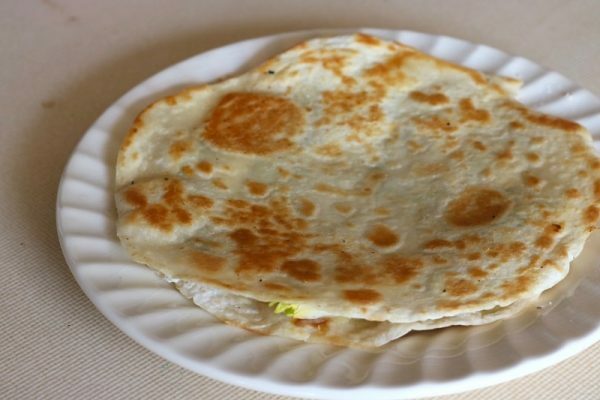 Heat the butter in the frying pan over medium-low heat and add the quesadilla. Fry on each side until golden and the cheese has melted. Be careful it doesn't burn! 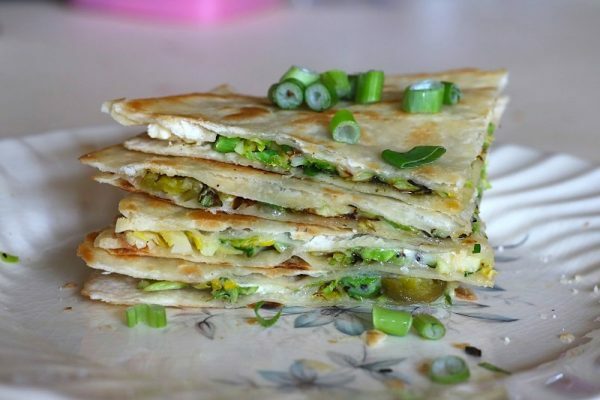 Serve with extra organic spring onions, and your choice of hot sauce and quesadilla toppings.